Here's one of the bookshelves in our house, the G-Z section of non-kids books (adult books?) in my office. 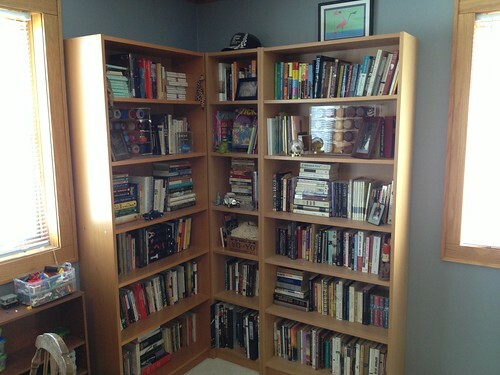 It's kind of fun to look at people's bookshelves, so here you go. Roll over the image to see some fun [ridiculously annotated] notes. I like to read. Last year I read 137 books. Crazy, huh? I explore how that happened in the booklet 137 Books in One Year: How to Fall in Love With Reading. You can also watch the gloriously homemade video.